In my review of Tarzan, I spoke about how the established conventions of the Disney Renaissance were increasingly applied to stories which could not be adequately served by them. In the case of Tarzan, the film-makers took Edgar Rice Burroughs' iconic, pulpy story, which played with ideas about human culture and the 'missing link', and turned it into a pretty but generic story with too many sidekicks and an unconvincing villain. Mulan comes from the same, late period of the Renaissance, but fares slightly better in its execution. 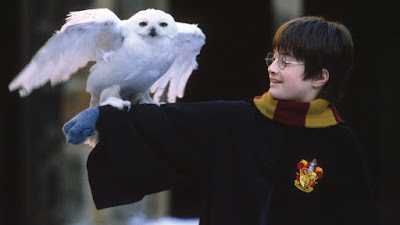 It goes against Disney's generic strengths in many aspects, exploring a real historical figure rather than the heroes and villains of European folk tales, and in exploring this subject, it clearly doesn't go far enough in its ideas or characterisations. But it is one of the more interesting Disney films of the 1990s, with visual beauty to spare and a more interesting female lead than many Disney offerings. Much like The Emperor's New Groove two years after it, much of the finished nature of Mulan can be explained (or at least rationalised) by a cursory look at its production history. 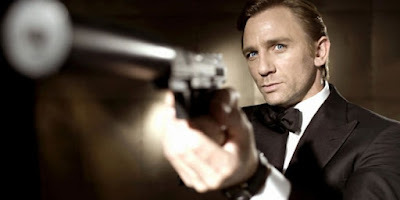 As with Mark Dindal's film, the project originally began as one kind of story which was subsequently combined with another, very different project, from which the final product was assembled. 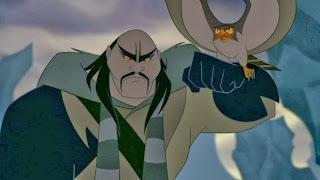 But while The Emperor's New Groove gave us a passable farce where we could have had a genuine epic, this film gives us an interesting if flawed look at another culture where we could have had another rote, crass princess story. 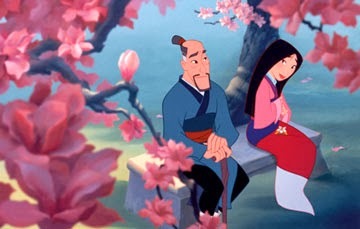 Mulan started out in life in 1994 as a straight-to-video short called 'China Doll', in which an oppressed Chinese girl was whisked away by a British prince to live happily ever after in the West. 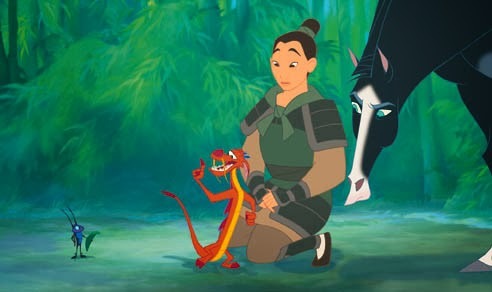 As production began, Disney consultant Robert D. San Souci brought forward the idea of adapting the Chinese poem 'The Ballad of Mulan', about the legendary female warrior who took her father's place and fought in the Chinese army for twelve years. Disney executives opted to merge the two projects, changing the visual sensibility and sending their animators on a three-week trip to China to soak up the culture. 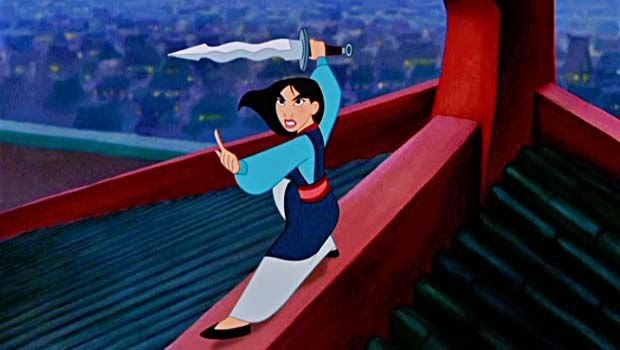 There's no denying that with Mulan, Disney's animators have tried hard to capture something which, if not authentic, is at the very least respectful. 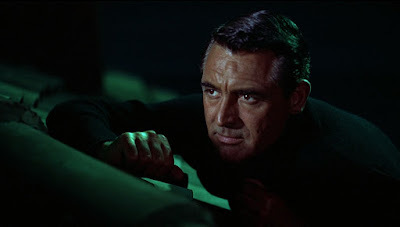 On a visual level the film is very pretty, its colour scheme being rooted in pale pinks, dark blues and deep blacks with an underlying watercolour sensibility. Every attempt has been made to capture a regal feel, of a culture steeped in notions of family, honour and tradition. 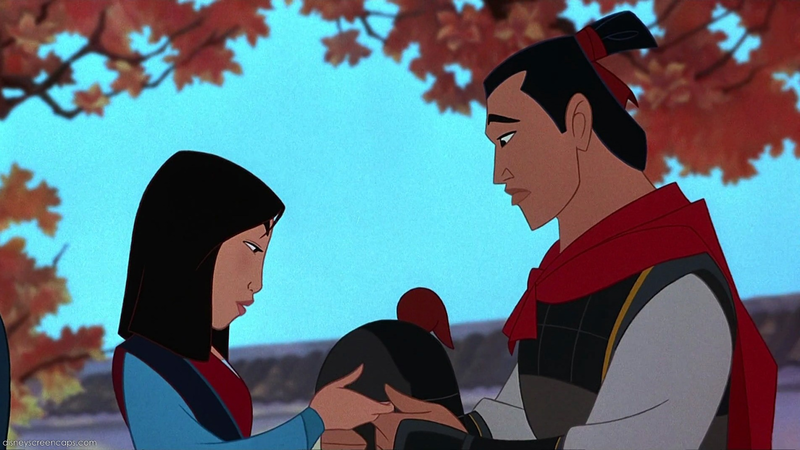 While the script often falls short of this high standard, it is possible to enjoy Mulan for its visual beauty alone. One interesting aside in this regard lies in the use of PIXAR's Renderman programme to bring the crowd scenes to life. 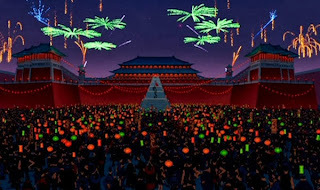 I've complained in the past, particularly in relation to Sleeping Beauty, that crowd scenes are one area where Disney has often skimped on to save money. 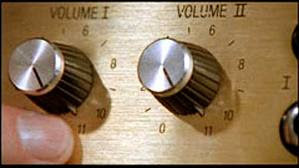 By reducing either the movement of crowds or just the numbers that comprise them, they save money but at the cost of making their climactic scenes feel smaller and more static than they should be. Here, by contrast, more than 2000 fully articulated people are in the climactic battle, giving the final set-piece that little bit more punch. 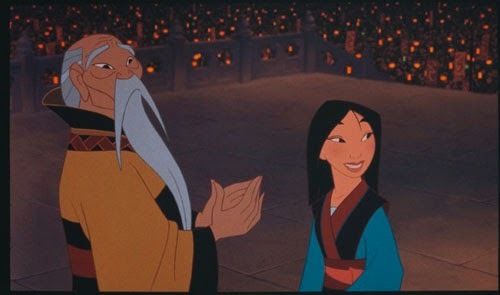 Disney also deserves a little bit of credit for casting voice actors who are Asian or of Asian extraction, most of whom are not widely known in America. Ming-Na Wen is very likeable as the speaking voice of Mulan herself, while BD Wong is equally engaging as Captain Li Shang, her eventual love interest. 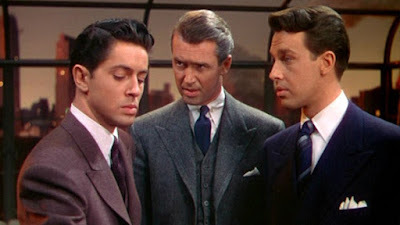 Whatever quibbles one may have the fine details of the casting, this situation is infinitely preferable to Caucasian American actors pretending to be Chinese, a la Mickey Rourke in Breakfast at Tiffany's. Watch out also for a supporting performance by James Hong, best known as the eye designer in Blade Runner and Lo Pan in Big Trouble in Little China. 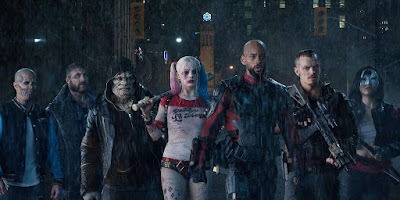 This is all well and good, but we are still left with a film whose material is working fundamentally against Disney's strengths. Disney understands fantasy and European fairy tales - their mechanics, their pacing, their character dynamics and so forth, and it has built its style on this balance of light and dark, regal and ridiculous. Whenever Disney have branched out and attempted to tell stories of other cultural origin, the results have either been massively offensive (Pecos Bill in Melody Time) or have handled the subject matter with kid gloves for fear of offending their massive global audience. 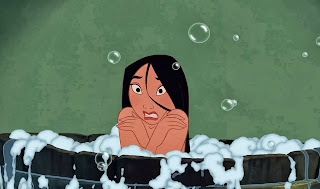 And it is into this latter trap that Mulan sadly falls. It might seem strange to criticise Disney for trying something new, considering how much I have berated some of their conventions. But the problem is not being willing to try something new: the problem is not having the talent or the gumption to follow through on these good intentions. Make no mistake, Mulan makes a better fist of this than perhaps we had any right to expect, but it's still not quite the finished article. Like many of the cult films I've reviewed in the past, it's a film of interesting parts rather than a perfectly realised whole. 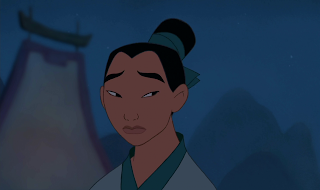 The most interesting part of Mulan is its main character. 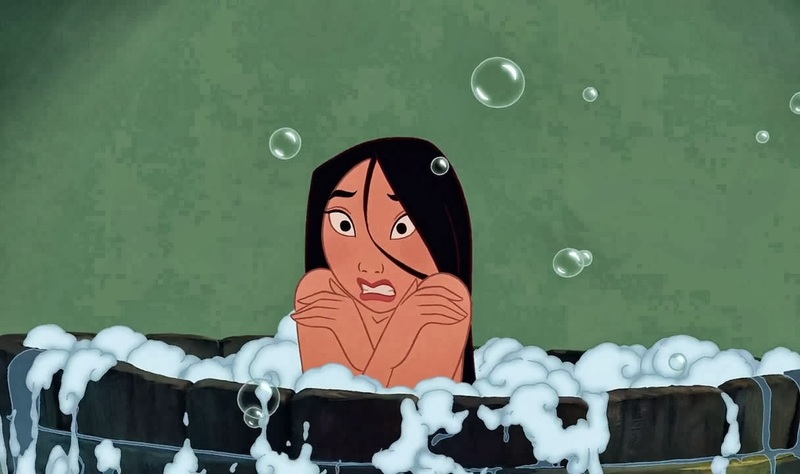 The typical Disney princess has her roots in fairy tales and thereby pantomime, in which the main characters very rarely drive the plot forward. The likes of Snow White, Cinderella and Sleeping Beauty react to events happening around them, rather than changing their destinies entirely under their own steam. 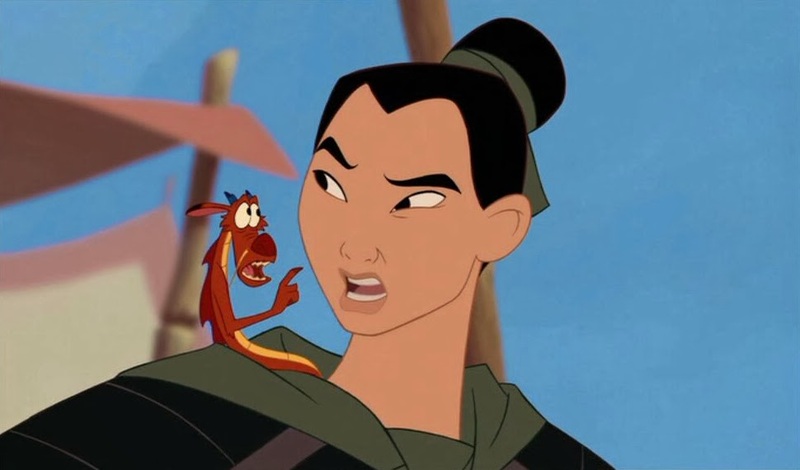 Mulan, on the other hand, is not a product of this heritage and therefore has a more direct agency in driving the plot forward. This may help to explain why Mulan is often held up as one of the better Disney princesses: she isn't really a Disney princess at all. Mulan is also interesting for having a combination of traditionally male and female attributes. 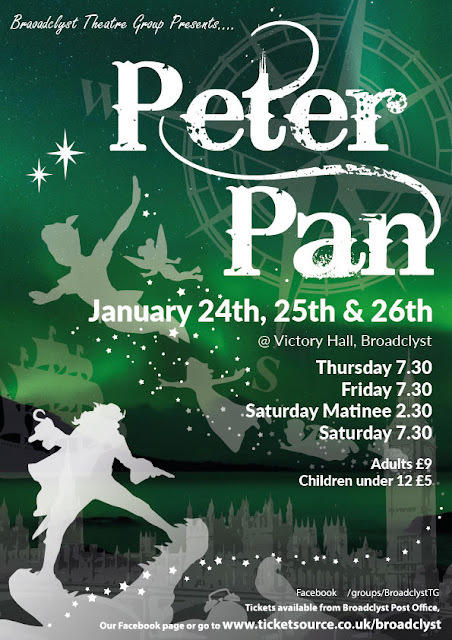 The film employs the common Shakespearean convention of a female protagonist dressing as a man to confound social expectations, such as Portia in The Merchant of Venice or Rosalind in As You Like It. In joining the army Mulan is required to take on male attributes to survive, such as proving her physical strength, but she also retains her more traditionally female characteristics of sympathy and sensitivity. And like her male counterpart in The Sword in the Stone, she wins the day through intelligence and resourcefulness rather than the use of force. Unfortunately, having worked so hard up to this point, the film muddies the gender political waters with the final act of its main character. Having won the day, Mulan turns down a political office equal to the men around her, in order to get married and return home to a life of domesticity. 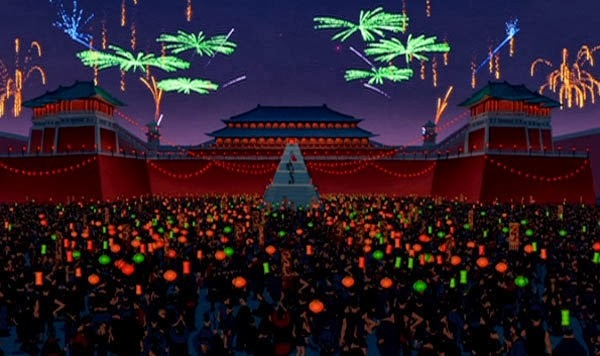 This turn of events (which is in the original story) can be seen either as Mulan embracing her feminine qualities in an arena which could deprive her of them, or (more likely) her conforming to society's expectations having fought so hard to challenge them. The latter is more likely considering the emphasis on her love interest, which smacks of Disney trying to shoehorn in a marketable convention. 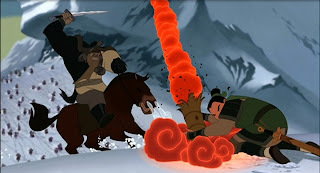 Mulan falls flat at the precise moments where it stops pushing and leans back on Disney conventions, specifically conventions which neither add to the story itself nor assist in the telling of it. 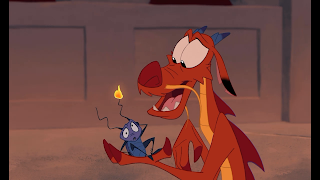 As with Tarzan, there are too many sidekicks, with Mulan having Mushu and Mushu himself having the cricket (which is possibly a reference to Pinocchio). Eddie Murphy's presence as Mushu is following the precedent Robin Williams set in Aladdin, though he is nothing like as funny or as memorable as the Genie - in fact, he's not funny at all. 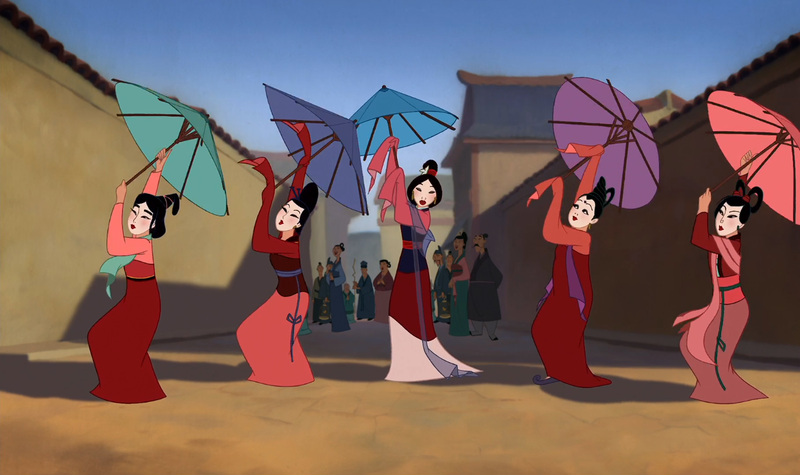 The musical numbers in Mulan are equally hit-and-miss. 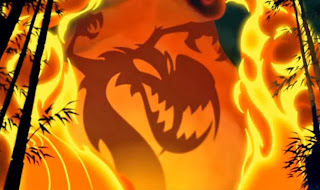 'I'll Make A Man Out Of You', sung by Donny Osmond, has become something of a minor classic in the Disney repertoire, and it is appealing for its punchy tempo and well-matched animation. But 'Honour To Us All' is crass and repetitive, and 'Reflection' feels like left overs from a bad Celine Dion album. 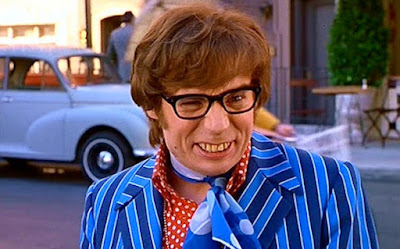 One of the most common criticisms of the film was that the songs dragged out the storytelling, and sadly on this occasion that is true. Mulan is a partial success for Disney, being better assembled and having better intentions than many of its surrounding counterparts. Its beautiful visuals and interesting female lead help to offset any feelings of awkwardness or formula during the running time, and as a piece of entertainment it comes through perfectly well. But with every aspect that makes it good, there's a nagging little feeling that it could have been better still with a little more application. It's clearly trying very hard - but it still needs to try a little harder. Much of this review owes a big debt to the analysis of Lindsay Ellis, a.k.a. The Nostalgia Chick. You can watch her review in full here. For more on gender expectations in animation, particularly in relation to female characters, check out JesuOtaku's review of Paradise Kiss here.